HYDERABAD, August 26, 2014: In its endeavor to make live TV reach viewers across the globe, YuppTV today touched greater heights by launching the most watched Malayalam Channels of Manorama News and Mazhavil Manorama for viewers worldwide as paid channels with the exception of Singapore. Audiences worldwide especially from Kerala will now be able to enjoy Manorama's unbeatable news coverage as well as wide choice of entertainment programs on Mazhavil Manorama. This included reality shows, tele serials and dramas, movies, music and more, giving the Malayali community all over world an enduring connection with their beloved homeland. 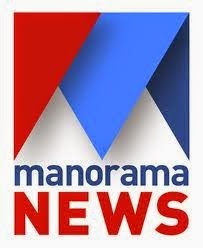 Coming from the giants in Malayalam Media, Manorama News enjoys massive viewership and is one of the most widely watched and highest rated TV News Channels in Kerala. Mazhavil Manorama also has a vast fan following for its unrivaled entertainment and bringing highly popular programmes, television serials, reality shows, comedy shows, and Malayalam movies all in picture perfect clarity and High Definition telecasts. YuppTV is a global leader in providing converged OTT (over the top) live TV, Catch- up TV, along with on-demand Movie Solutions. It is a six-year-old company with its headquarters in Atlanta, GA, and having branch offices in the USA and India. The company through its platform YuppTV is the leading OTT player delivering more than 180+ Indian TV Channels, more than 4500 videos (daily), Movies, Live Events and a lot more, to the six screens for Video content consumption i.e. Connected TVs, Internet STBs, Smart Bluray players, PCs, Smart Phones and Tablets. The service currently has one of the industry’s highest content usages per subscriber. The mission of the company is to make it simple and instant for Broadcasters to deliver live TV and VOD anytime and anywhere in the world to any internet enabled device.